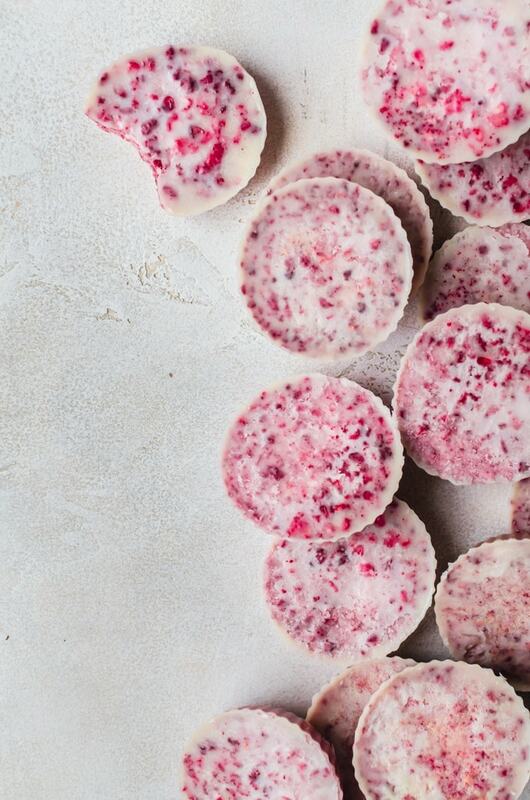 These sweet little white chocolate raspberry cups will be an instant hit in your house. Bonus: they are totally guilt free and keto-friendly. 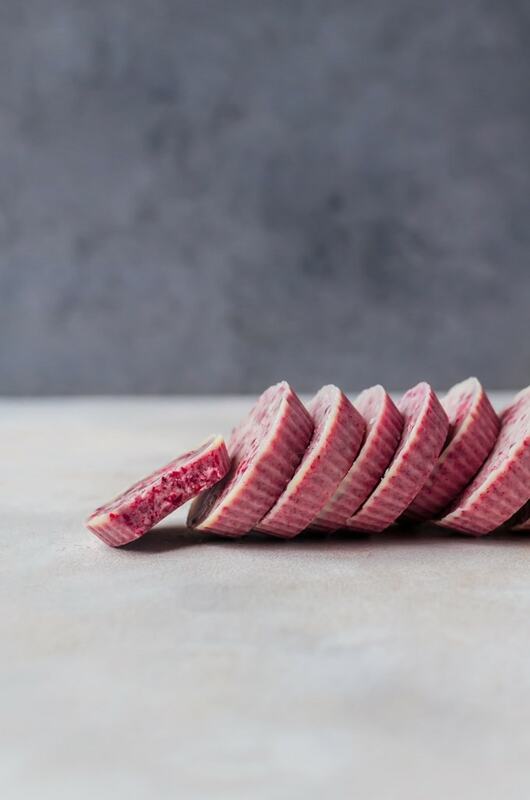 So how much do you know about the keto diet? I can honestly say that I know almost nothing about the lifestyle, except from what I can gather from the name. Which basically means you put your body into ketosis… I also understand that in the keto diet, this is basically done via (mostly or completely) cutting out carbs. So, yeah, I don’t know much. But my friend, Carolyn, is an expert. 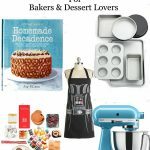 In fact, she has a blog and a cookbook focused on the keto diet. 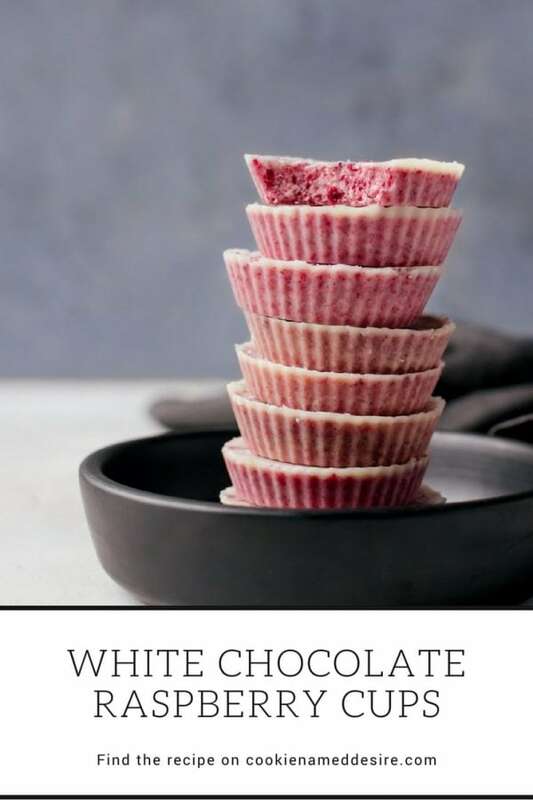 I wasn’t sure how I would feel about making the white chocolate raspberry cups because I wasn’t familiar with using some of the ingredients such as the cacao butter – which by the way is what makes white chocolate true white chocolate. The stuff without it isn’t real white chocolate. It’s an expensive ingredient and I’ve never used it in this form before. I was also unfamiliar with erythritol sweetener, but instead, I did opt for another type of similar sweetener I already had on hand so as to not spend too much money on an ingredient I wasn’t sure I’d use up. It did have some erythritol in it. Regardless, I was excited to learn about an entirely different way of making food and treats. I also wanted lots of raspberry, so I ended up crumbling more freeze dried raspberry and sprinkling it on top of the white chocolate raspberry cups. There isn’t as much of a clear distinction between the layers than if you did not add the extra raspberry to the top. If you want less raspberry or more split between the layers, follow the directions as-is. Either way, these are incredible. I ended up making 10 batches in a week because I had requests from so many people in my family for them. It made me wish I did go with the original sweetener because I definitely would’ve made a dent in the bag! Warning: these sweet little treats are highly addictive! 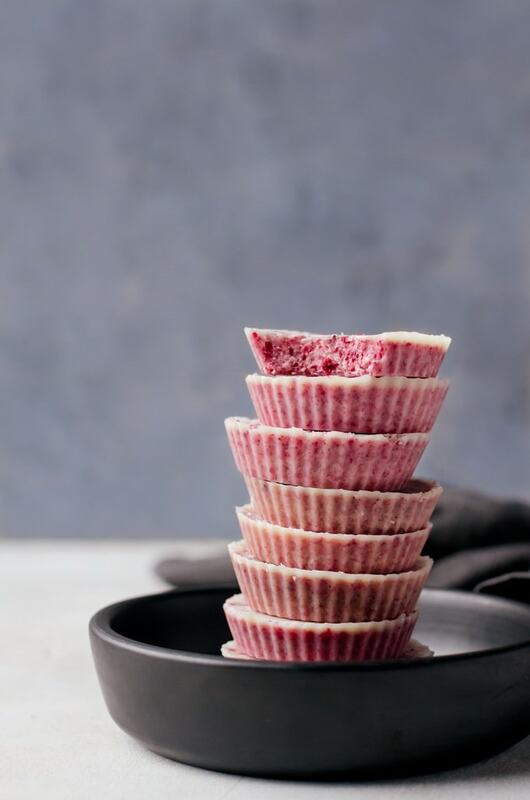 Make a double batch of these white chocolate raspberry cups. Add the coconut oil and cacao butter to a saucepan and heat until melted. Add the raspberry powder and the sweetener. Add 10 cupcake liners to a cupcake tin and evenly divide the mixture into the liners. Chill for at least an hour to firm. 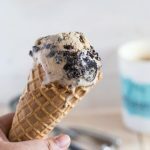 This looks delicious and a great, easy (yet fancy!) treat for neighbors during the holidays! Can I find cacao butter and erythritol sweetener in a regular supermarket? If so, in what section? Have you tried it with other freeze dried fruit like blueberries? Unfortunately, you can’t find either in a regular supermarket, but you can find them in most health food stores! And blueberries or strawberries would be amazing in them!!! It took a little time to find the ingredients for this recipe but it was well worth it. I found them online in the end. Once made they were a big hit with the kid that love raspberry and white chocolate so combining them was always going to go down well and I was surprised at how great they tasted especially since they are so healthy! WOW! These look soooo good. I saw them on Pinterest this week and couldn’t wait to make them. Thanks for sharing. I LOVE these cute little treats! 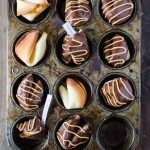 They were so easy to make that I am making them again for Valentine’s Day! I love this beautiful recipe! With only four ingredients, these lovelies were quick and easy to make and then only an hour to chill. 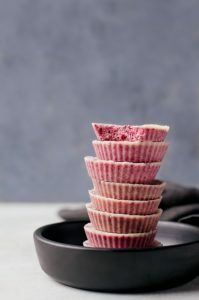 Thank you so much for this wonderful White Chocolate Raspberry Cups recipe! I’ll be making it again for Valentine’s Day.